Costa da Caparica Kitesurf, SUP & Surf Hostel - Almada, Lisbon Guests overall rating: ★★★★★ 5 based on 2 reviews. The hotel stands in the midst of a bunch of stone pine trees, a large natural lawn, swimming pool, tennis court and a lounge space. It is an attractive and unique accommodation unit and you’ll see that it will be unforgettable, as well! The decoration concept was designed to give a warm atmosphere, young and functional, a sun and sea fusion, an alliance between adventure and leisure. There was also a major concern with the materials used so they could follow the recycling and reuse logic. The reception and welcome procedures are very diligent and attentive to each guest needs, as well as very reliable. The lodging price (with breakfast included) is also another reason to choose this accommodation unit, where you can find 95 beds and 25 rooms (double, multiple and family rooms). Access to the pool and the use of individual lockers are included too. Wi-Fi connection available. For those who’re not satisfied with relax indoors, on the grass or São João sandy beach, we too have to offer you accommodation packages of surf, bodyboard, stand up paddle, kitesurf, windsurf and yoga lessons. And so … if it is a matter of waking up to the sound of birds, sunbathing on the grass, take a dip in the pool, learn tennis, surfing in the Atlantic, having a birthday party, a sports training or just dance until your feet hurt… the important is to come and renew some energies, catch perfect waves and reach the coast. If your option is to choose an accommodation without sharing the space with others, there is only one room with those specifications and a collective bathroom. To enjoy the energy and vitality by the sea, the hotel offers eleven double rooms with a fully renovated, more cheerful and orderly decor. We know that small details make all the difference. Three of the bedrooms are suites featuring toilets with private showers, TV and daily cleaning. They are located on the entrance floor in an exclusive area. Also nice and cosy are the eight rooms that are located on the 1st floor. These rooms require the use of shared bathrooms with individual shower cubicles. A good option for groups who want to organize a party with friends, a sports training, any other thematic gathering or provide a different weekend to employees of an institution or a company. There are rooms with 4, 5, 8 and 9 bunk beds, with a collective toilet and shower. Coolness is the motto of this accommodation, where no one will feel alone ever. You can have two family rooms with a double bed and a bunk bed. The bathrooms and showers are shared. Perfect for couples with children who value greater privacy atmosphere. Come and enjoy unforgettable moments with your family. Tennis court free use or with lessons: fee payment at the reception desk. Bar: from 3pm to 11pm with music, lessons and dance workshops to lighten up late afternoons and evenings. Meals – Catering service available. Hostel Kitchen: from 9am to 11pm, fully equipped kitchen with microwave, fridge, electric hob, ironing board and iron. Lounge Area:cable TV, Wi-Fi, ping-pong table (free use), table football and a special corner for children. Training Room: fully equipped with capacity for 20 people. For targeted learning, fast and safe, the Surf School structure their classes and their training according to the practitioner level and the progression of their students. Thus, it is organized into three learning groups: Initiation; Progression; Advanced. They take place at different beaches and in accordance with the practitioner’s level. They have an average duration of 2 hours. They include all the material necessary to practice the sport. Some of the classes are video taped and documented in photography for correction of failures of each student. Each level has structured very specific, where the student passes only level when comply with all stages of learning. 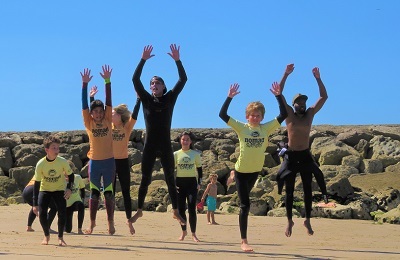 Has no age limit, are classes where anyone can sign up and start your activity in the surf. When the sea permits, catch waves before they kicking and cut to the left and to the right. In this class, belong to surfers already know that cutting the wave and are beginning their maneuvers learning process. This class are part of surfers who are already autonomous in the sea and already know to perform some curves on the wall of the wave. Depending on the athlete to athlete, the main objective is the development level of each and the correction of errors, such as posture, body spins and wave reading by viewing videos of the training sessions. At the end of each training, the coach sent every training session videos and attached to this video, it is made an analysis of each wave of surfers, so this way, it is easier for the surfer realize exactly where your the is and where error should work, to enhance its performance in water. Surf Adapted is an area of Surf mode. This takes advantage of the beach as a natural environment and Surf, sea and waves as intervention tools, promoting the capacities of individuals, inclusion and equal opportunities. There is enormous potential in this activity, including the development of certain skills that properly encouraged and supported may transfer to the daily lives of participants. Because it is an activity in which there is no standard adjustment, the participants themselves should be the active agent in the adaptation of activity meet their specific needs. Classes for children from 4 years old! The 20 lessons pack, does not apply to Arrábida. They take place in separate reservoirs and beaches and in accordance with the practitioner’s level. We do what we love! Kitesurf is our passion! We work for the fun, evolution and success of the student. Teaching since 2001, we have more than 5500 hours teaching. We are 100 % specialized and dedicated to teaching kitesurfing. All equipment is provided by the school. Max two students per kite and 2 kites per instructor. 100% mobile Kitesurf School meaning that we teach in the best kite spot around Lisbon according to the best wind conditions found. Easy learning with the most safe and secure equipment. We make photos and videos of the day for the student to see the daily progress. We have Insurance included: Third party and self risk. Duarte Coelho has a large experience in water and wind sports. We are one of the few recognize and certified Kite schools in the country. Whatever you want to do in the water! If you are one of those who loves to open your room window and inspire the ocean fragrance, you ought to plan your holidays or a short break here. 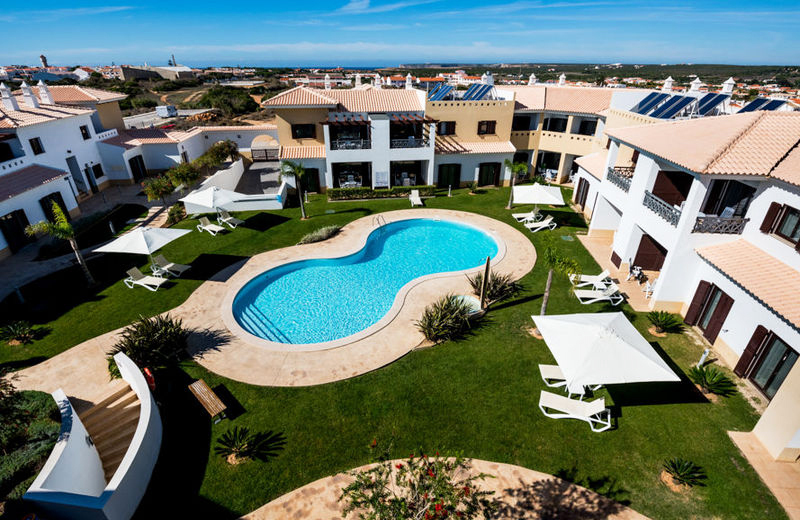 Located in Costa da Caparica, in the county of Almada, the Hotel offers several accommodation options for couples, groups, families or even those who might fancy a more solitary alternative. Cool beach days are always a guarantee and there are about 13 km of a long sandy seaside. Tranquillity is also guaranteed by pure relaxation, calm and pleasure given by the warmth of the surrounding stunning nature. Beach, bakery, restaurants and supermarket a walking distance. From Eixo Norte-Sul go toward south and cross the bridge 25 de Abril. Take the first exit toward Costa da Caparica (IC20) and go straight ahead. At the end of the IC20, turn right toward Trafaria. Pass on two roundabouts and go straight ahead. On the third roundabout, turn right onto Rua Miguel Torga. From A2 motorway, before reaching the bridge 25 de Abril, take exit toward Costa da Caparica (IC20). Get the ferry at Belém to Trafaria. 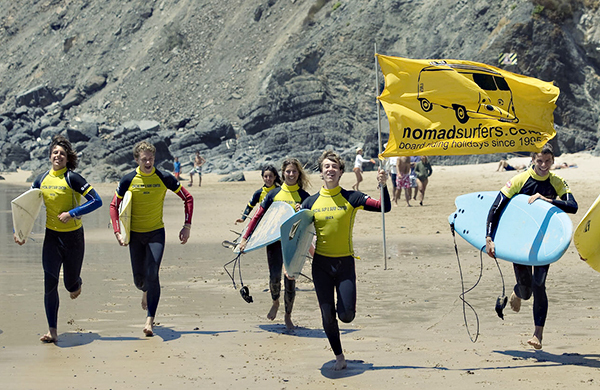 September is the month of the return to all…September is also back to the surfing school! Promotion of classes packs: Initiation + Progression, in any purchase of Classes pack – Offer Pack 1 similar (valid from 8th to 22th September 2016). Included: Surf board, wetsuit, leash, personal accident insurance, liability insurance, lycra. Included: Personal accident insurance, liability insurance. "Me alojé en este Hostel de la juventud con un grupo de amigas porque ibamos buscando algo realmente barato que nos permitiera acercarnos a Lisboa para hacer turismo y al mismo tiempo estubiera en la costa. En principio teníamos la idea de reservar habitaciones compartidas porque al ser muchas llenábamos una y salía muy bien de precio, sin embargo nos encontramos con que no había desponibilidad en ese momento y tuvimos que dividirmos y acabar reservando una de las habitaciones de que dispone el hostel con dos camas y baño propio. Nos sorprendió gratamente porque la diferencia de precio no era mucha y sin embargo la habitación era enorme, muy agradable y moderna y el baño perfectamente equipado. Las habitaciones compartidas son como en todos los hostel, con literas y con baños compartidos, eso si, todo estaba muy nuevo, muy limpio y había gran número de duchas y aseos. Creo recordar que teníamos el desayuno incluido en el precio, pero nosotras no disfrutamos de el porque el horario. 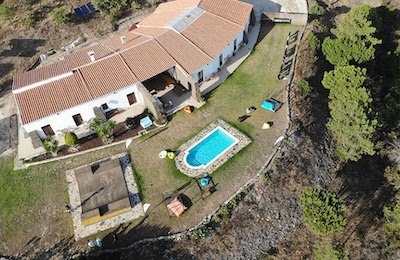 Las instalaciones son bastante nuevas, tiene sala de ordenadores con internet gratis y piscina exterior con cafetería. Otra cosa buena es la localización si lo que se busca es playa y también se accede fácilmente a Lisboa desde allí. La localidad de Caparica tiene algo de ambiente nocturno y las playas son espectaculares, muy salvajes y con unos chiringuitos tipo chill out muy recomendables. En general recuerdo como muy agradable nuestra estancia allí y el personal fue muy amable con nosotras." "Brill hotel central to everything. Beach across the road, underground car park ,in room safe. Brill breakfast plenty of choice. Very busy hotel, great staff, B ome night entertainment.big rooms,balcony, great nights sleep. Little train leaves every half an hour to go to other beaches right down to 21, you can have a different beach everyday. We had car hire great, traveled around quite a bit, driving crazie very busy. Would recommend this hotel for anyone. "